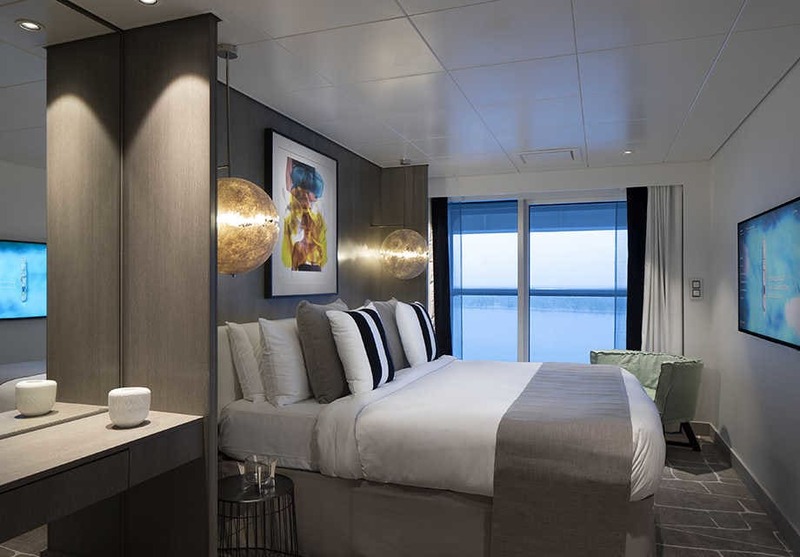 Celebrity Apex is the second of the revolutionary Edge Class Ships and it will be making Southampton its home for its first five sailing starting its inaugural eight nights cruise covering Spain and Portugal which sets sail over the Easter break in 2020. Other cruises to choose from including a seven-night Norwegian Fjords cruise and a ten-night capital cities cruise which begins in Oslo. 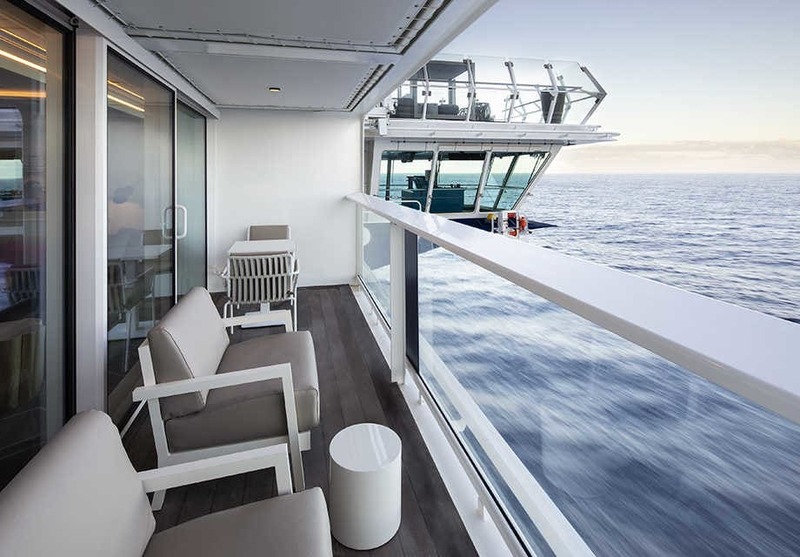 Offering state of the art luxury accommodation like its sister ship Celebrity Edge, it will have Edge staterooms with infinite balcony and twin-level Edge Villas featuring outdoor plunge pools. There are also 29 places to eat, seven of which are brand new speciality restaurants along with the infamous Magic carpet and Rooftop Garden. The spa features many treatments to help you relax and unwind along with a fully equipped fitness centre. The Celebrity life programme divides your onboard activities into four categories: Revive, Play, Learn and Taste, so you'll find plenty onboard to keep you busy. There is plenty of entertainment to make the most of your days and nights at sea. Contributing to the sleek profile of the ship, the Magic Carpet is a versatile new concept in cruise space. On several levels, it has a top deck – without a deck! Here you’ll find a place to have ‘Dinner on the Edge'. On deck 14 the Magic Carpet becomes an extension of the main pool area with drinks and live music. 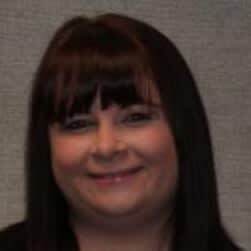 Down on deck 5, it is an extension to Raw on 5 whilst on deck 2 it expands Destination Gateway that becomes a luxury embarkation station with bucket seats and large windows. A private area or guests staying in suites only. You will find a futuristic sundeck with pool and bar, a lounge with dedicated concierge and the exclusive Luminae Restaurant. Comprising an adult only pool, private cabanas, three-dimension Rippling Wall and a café. Open day and night, the Rooftop Garden provides modern, plush seating, live musical performances, treetop sculptures and even movie screenings. You can enjoy a game of chess in this multi-purpose space together with cocktails, barbecue and gourmet snacks. 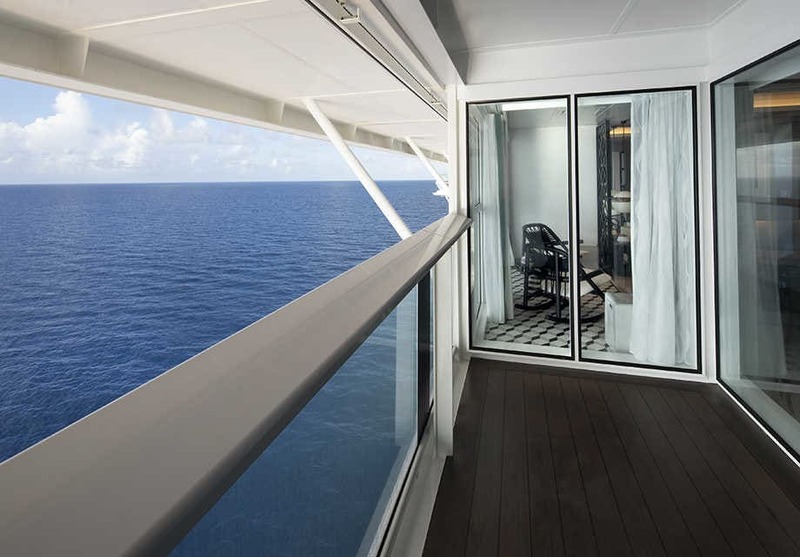 One of the most popular spots on every Celebrity ship is the Resort Deck. On Edge, there is a covered pool area for adults, a solarium with 3D art wall representing the stunning ocean colours and movement. The outward-facing terraced pool deck gives a resort feel, whilst the asymmetrical deck design keeps the area 100% ‘edge’. Here you’ll also find hot tubs and private cabanas around the 23m lap pool. There are accommodation inclusing the split level Edge Villas, large suites with plunge pools and cabins with infinity balconies. The most luxurious and spacious suite in the Celebrity fleet with two bedrooms and bathrooms, large lounge and dining areas plus panoramic views. 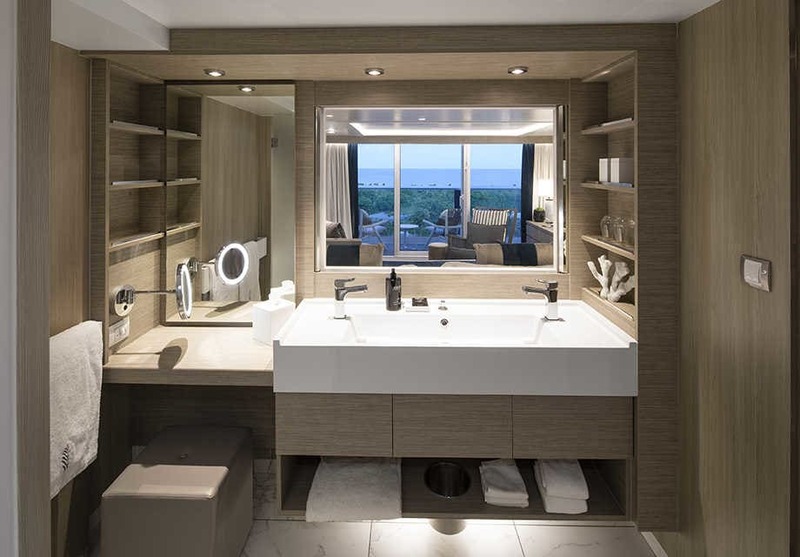 There are two Penthouse Suites on the ship, each has two bedrooms and bathrooms plus a veranda with a soaking tub. You’ll have a private butler and access to all Suite benefits and privileges. There are six, two-storey residences with one bedroom and two bathrooms. They will accommodate a family of up to four. There are windows on two levels looking out over the terrace, a plunge pool and lounge plus access to the exclusive Suite Class area. This suite features one bedroom with a king-size bed, lounge area and a private balcony. The celebrity suite features one bedroom with a king-size bed, a bathroom with tub and shower and a private balcony. This suite features a king-size bed, bathroom with tub and shower and a private veranda. 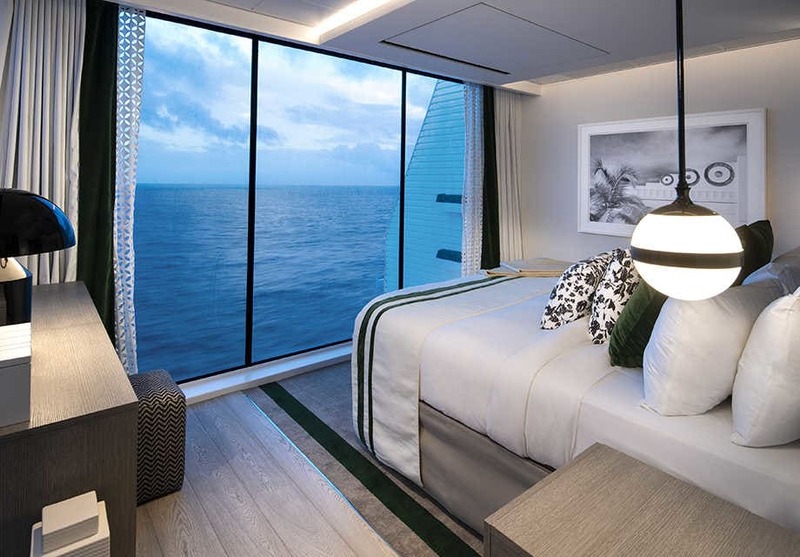 Blurring the boundaries between inside and out, these staterooms allow, at the touch of a button, your living space to expand seamlessly to your veranda. Space is 23% larger than SL Class with bathrooms gaining 10%. Cosy and contemporary with ocean views. An interior room with one double bedroom and a bathroom with shower.